Announced this week at Connect(); 2016, Microsoft has joined the Linux Foundation as a Platinum Member. 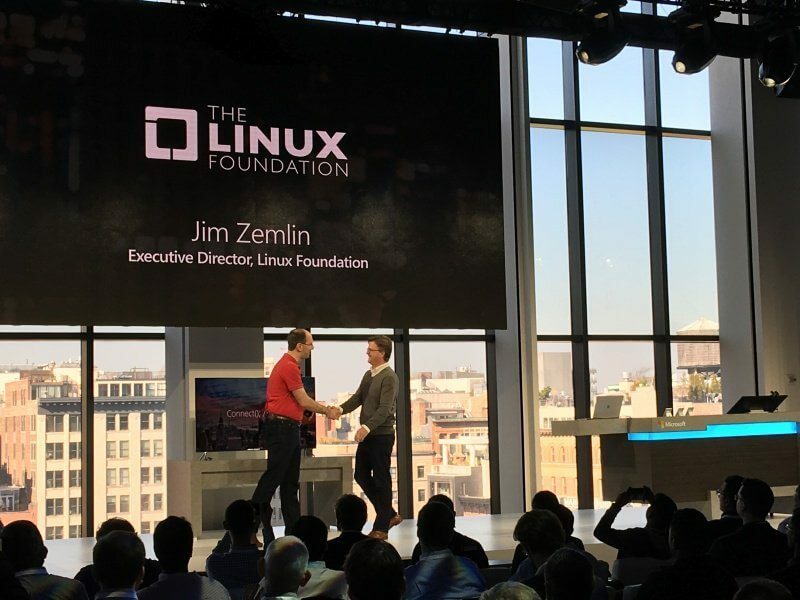 As part of ongoing efforts to work closely with open source communities, Microsoft’s membership in the Linux Foundation will benefit customers and partners through increased collaboration and innovation within a diverse technology ecosystem. Microsoft’s commitment to working with open source includes working side-by-side with standards bodies and foundations, who are creating technology in the open and accelerating commercial adoption. Our membership to the Linux Foundation builds on our work with the foundation, including the creation of a Linux on Azure certification. These recent announcements are the latest of many investments Microsoft has made over the past several years to make Azure an open and flexible cloud platform, with deep and broad support for open source tools and technologies. In fact, nearly one in three Azure virtual machines are running Linux today and 60% of the images in the Azure Marketplace are Linux-based. For more on this news, check out the Linux Foundation blog.